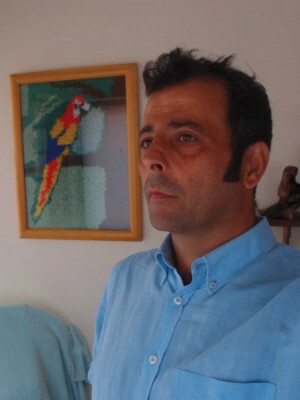 Filipe Figueiredo (1970) graduated in Ceramics and Glass Engineering (1993) from the University of Aveiro (UA) and obtained a PhD from the same University in April 1999, with a thesis on composite mixed conducting materials for application as cathodes in solid oxide fuel cells. Six months after completing his PhD, he joined the Open University in Lisbon, where he was appointed to a Tenured Auxiliary Professor position in April 2006. Filipe was deeply involved in teaching using distance learning methodologies and the implementation of e-learning at the Open University. He had also an active role in several bodies of the University, notably as an elected member of the Senate and of the Coordinating Commission of the Scientific Council. At the same time, he collaborates with the Centre for Research in Ceramics and Composite Materials (CICECO) of the University of Aveiro, becoming a full member in December 2004. His research interests are centred on the relationships between structure, microstructure and electrical and electrochemical properties of ionic and mixed conductors for application in electrochemical energy conversion systems such as fuel cells, electrolysers and gas separation membranes. In March 2008, after nine years in Lisbon, Filipe requests a long-term unpaid leave status to embrace a research career at CICECO under the Ciência 2007 Program, where, besides maintaining and expanding his research in ceramics, he creates a new research area and laboratory dedicated to polymer and hybrid materials for low temperature fuel cells and related applications. 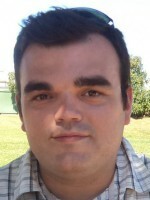 Filipe is since February 2014 a Principal Researcher at CICECO, where he coordinates the research group G3 - Materials for Energy and Functional Surfaces. Currently, he supervises 2 post-doctoral fellows and 1 PhD student. He supervised to completion the work of 3 PhD students, 7 post-doctoral fellows and 13 MSc Students. He has coordinated or coordinates 8 projects corresponding to a total funding of 2.64 M€ , and has played important roles in more than 15 other projects (National and European). 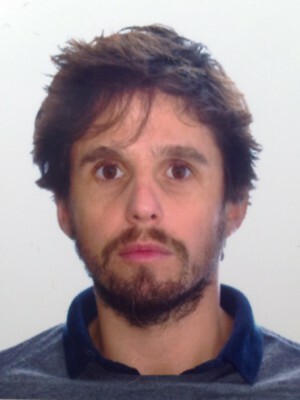 Filipe has contributed to more than 120 papers in international refereed journals, with more than 2200 citations and a corresponding Hirsch (h) index of 29. He has presented a similar number of communications, including 8 invited lectures at international conferences, having received 4 awards. Filipe has been involved in a variety of scientific projects at national and international levels. In the past 5 years, these projects involved a total funding of nearly 1.3 million euro. The following is list of all the projects with significant involvement, either as a project coordinator or as a team member. 2017-2019: “UniRCell - Unitised regenerative fuel cell for efficient renewable energy supply: from materials to device”, SAICTPAC/0032/2015. UniRCell is a joint activity program (PAC) of the University of Aveiro / CICECO, University of Porto Faculty of Engineering / LSRE-LCM / CEFT, REQUIMTE / LAQV and University of Trás-os-Montes e Alto Douro / CQ-VR that attracted a total funding of 2 251 685 € (550 000€ to the U. de Aveiro), which aims at developing a future generation of environmentally sustainable and low cost materials for the production of renewable electricity using hydrogen as energy vector in Unitised Regenerative Fuel Cell (URFC), including the demonstration in a prototype URFC. The work plan is organized in innovation supporting actions and technical activities focused on the: development of novel electrolytes; development of novel OER/ORR and HER/HOR bifunctional electrocatalysts based on; integration of membrane electrode assemblies through evaluation of different electrode configurations, gas diffusion layers and separator plates; analytical and experimental critical function/validation of the components in laboratory FC, EL and URFC prototypes. Modelling approaches are implemented in various activities in order to gain insight on: atomistic features of the relationships between structure, ionic transport and electrocatalysis; dynamic effects of two-phase flow, heat and mass transfer on device performance optimization. 2015/2016: "Ceria-based electrocatalysts for low (<200 °C) and intermediate (500-650 °C) temperature fuel cells", Transnational Cooperation Action PO/14/04 within the Programa de Cooperação Científico-Tecnológica entre o Ministerio de Ciencia, Tecnología e Innovación Productiva de la República Argentina (MINCyT) e a Fundação para a Ciência e Tecnologia (FCT) do Ministério da Ciência, Tecnologia e Ensino Superior de Portugal. Colaboração com o Dr. Rodolfo Fuentes do Departamento de Física de la Materia Condensada de la Comisión Nacional de Energia Atomica [CNEA], Consejo Nacional de Investigaciones Científicas y Técnicas [CONICET] in Buenso Aires. The general objective of this collaborative project is to study the physico-chemical properties of nanostructured solid solutions of Ce1-xLnxO2-y and Ce1-xMxO2-y (Ln is a lanthanide: Gd, Pr, Tb; M is a transition metal: Cu, Mn , Ni) in order to assess their potential for application in electrodes for low temperature (25-180°C) polymer electrolyte fuel cells (PEMFC, SAFC, DBHFC), and intermediate temperature (500-650°C) fuel cells with molten carbonate/ceria nanocomposite electrolytes. 2013/2014: “CelFuelCel - Bacterial Cellulose Membranes for Proton Exchange Fuel Cells”, EXPL/CTM-ENE/0548/2012, financiamento total 35 083 €. Exploratory project aiming at the development of a new generation of fuel cell renewable materials having bacetrial cellulos as the base. Project formally lead by Prof Armando Silvestre from CICECO, but with full responsibilities at all levels, including the initial conceptualization. 2013: “Probing Ion Dynamics in Domain Boundaries of Lanthanum Gallate Solid Electrolytes by Electrochemical Strain Microscopy”, action CNMS2012-302 approved within the User Nanoscience Research Program of the Center for Nanophase Materials Sciences (CNMS), Oak Ridge National Laboratory (ORNL), EUA. Project coordinator of a team including PhD student Sergey Luchin and Dr. Andrei Kholkin, from CICECO, aiming at the study of ionic conductors by the Electrochemical Strain Microscopy methods developed at Oak Ridge to try to map ionic transport and the nanoscale. 2011/2013: “HyPEM - Acid-Functionalised Hybrid Membranes for High Temperature PMFCs”, PTDC/CTM-CER/109843/2009. The objective of this project is the development of intermediate temperature PEMFCs in a joint proposal of two leading R&D Portuguese institutions (CICECO and LNEG) in close collaboration with the only Portuguese company specialised in the development and commercialisation of fuel cells (SRE). The project defines objectives at three stages: to produce novel membrane materials with high proton conductivity at T>100°C; to assemble these materials into membranes with optimised electrodes; to develop a PEMFC prototype based on SRE technology. 2011/2013: “Hierarchical Nanostructures for Lithium-ion Batteries”, PTDC/CTM-NAN/110776/2009, (total funding of 148 415 €). 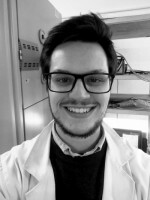 Since 1st July 2012, Filipe is the coordinator of this project initially lead by Dr. Nicola Pinna, presently at the Humboldt University in Berlim. The project is centred on the study of nano-structured intercalation compounds for application in lithium batteries. 2008/2010: “Execução de Análises Físico-Químicas”, Contratos de Prestação de Serviços no valor de 10000€ com a "FLUIDINOVA - Engenharia de Fluídos, SA. Coordenador. 2005/2007: “Core-shell ceramic membranes with nano-sized grains for oxygen separation and syn-gas production”, POCTI/CTM/59727/2004, Foundation for Science and Technology, Portugal. He coordinated this project where new mixed conducting materials with core-shell heterostructures were developed and evaluated. The work is centred on the synthesis of nanostructured materials and the study of microstructural effects on the transport properties of grain boundary-doped ceramics. 2017/2019: “Degradation in Li-batteries: a Scanning Probe Microscopy Approach”, PTDC/CTM-ENE/6341/2014, €112 800. The project is coordinated by Doctor Andrei Kholkin from CICECO/Dep of Physics of the University of Aveiro. Participates as a team member with contributions to the electrochemical characterization of the systems. 2016/2019: “Zero CO2 emissions: challenge and foresight for innovative multi-ionic functional membranes”, PTDC/CTM-CER/6732/2014, €148 800. Project coordinated by Prof. Fernando Marques from CICECO/Dep. of Materials Eng and Ceramics of the University of Aveiro, whci is in line with previous activities on ceramic / molten salts composites. Filipe contributes as a team member to the study of the electrical properties of produced materials. 2014/2017: “CÉRIASAL - Ceria-based nanocomposites withmolten salts for intermediate temperature fuel cells (400 a 600 °C)”. Brasilian project funded by the Conselho Nacional de Desenvolvimento Científico e Tecnológico - CNPq, Programa Ciência Sem Fronteiras – Bolsas no País, Modalidade Pesquisador Visitante Especial nº 313729/2014-0, with 100 000 R$ and various student grants. 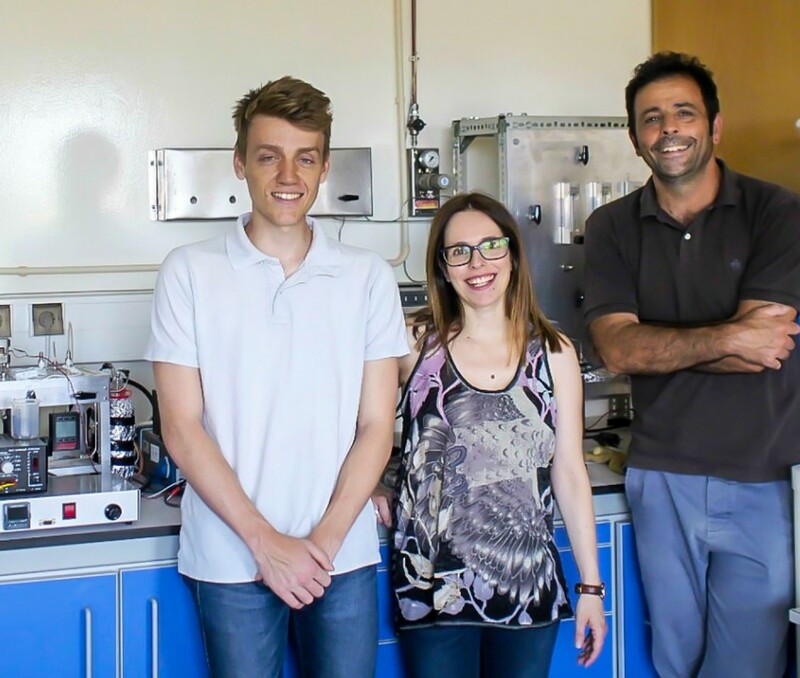 Filipe is Visiting Special Researcher at the UFRN (Natal, Brasil) and UFP (Paraíba, Brasil) with the aim to develop the research on nanocomposite electrolytes based in ceria and eutectic mixtures of Na2CO3/Li2CO3 and de LiCl/KCl for fuel cells, as well as playing an active role in the training of young researchers at the brazilian institutions. 2014/2017: “NANOMFC - Multi-Functional Nanocomposite Materials for Low-temperature Ceramic Fuel Cells”, New-INDIGO/0001/2013, total funding 150 000 €. Follow up to the NANOCELL project, this cooperation between European and Indian institutions has the objective to develop fuel cells for operation in the range 300 e 600 °C, and based on nanocomposite electrolytes of cerium oxide and molten carbonates. As a team member, Filipe has an active role on the electrical and microstructural characterization. 2013/2015: “Multifunctional Ceramic-Graphene Composites for Tribological Applications”, project funded by the Subprograma de Proyectos de Investigación Fundamental do Ministério da Economia e Competitividade de Espanha, and coordinated by Dr. Manolo Belmonte Cabanillas, from the Instituto de Cerámica y Vidrio do CSIC, Madrid, Spain. Invited researcher acting as a consultant for the definition and execution of the tasks related to the electrical characterization of the graphene-based composites produced within the project. 2012/2015: “ORIEL - Oriented Lanthanum Silicate Thin Film Electrolytes for IT-SOFCS”, PTDC/CTM-CER/118933/2010 (total funding of 121130€) coordinated by Dr. João Oliveira, from the Dep. de Engª. Mecânica of the Universidade de Coimbra. As a team member, Filipe is active in the electrical and electrochemical characterization of the thin-film apatite-type electrolytes. 2010/2012: “NANOCELL - Nanocomposite Electrolytes for Intermediate Temperature Fuel Cells”, PTDC/CTM/098486/2008. The novel nanocomposite electrolytes studied in this project include one classical ceria-based electrolyte (highly porous ceramic skeleton) and one mixture of alkali metal carbonates as second phase. The project aims to identify teh structure/composition/electrical properties relationships of these superionic materials, with particular emphasis on the role of the various charge carriers. Team member with responsibility in all tasks. 2008/2011: "Development of novel mixed proton and electron conducing (MPEC) ceramic membranes for the technology of pure hydrogen separation", PTDC/CTM/66243/2006. Contributes, as team member, mainly on powder mechanosynthesis and ceramic processing of membrane materials. 2006/2009: “Novel Materials for Silicate Based Fuel Cells - MatSILC”, EC-FP6-NMP STREP 033410. Team member with contributions on the mechanochemical synthesis and ceramic processing of oxyapatite-based solid electrolytes. 2006/2008: NANOCOFC - Enhancement of Research Capabilities on Multifunctional Nanocomposites for Advanced Fuel Cell Technology through EU-Turkish-China Cooperation, SSA 032308, EC FP6 (2006–2008). Team member . 2006/2008: member of FAMENoE –Functionalised Advanced Materials and Engineering of Hybrids and Ceramics, EC FP6 Network of Excellence (2004 – 2008). Within WorkPackage 7 - Next generation multifunctional ceramics, he is involved in the development of new materials with mixed conduction properties. Within the FAMENoE, he has also organised and co-chaired with Profs. Tony West and Derek Sinclair (University of Sheffield) the FAME Summer School on Inorganic Functional Materials, held in São Pedro do Sul, Portugal, 6th-11th July 2008. This was an event with a broad scientific scope dedicated to multifunctional materials that brought into close contact PhD and MSc students with more than 10 top European scientists, namely Joachim Maier (Max Planck Institute for Solid State Research, Stuttgart), Phillipe Ghosez (University of Liege), Ian Reaney (University of Sheffield), Jose Maria González-Calbet (University Complutense of Madrid), Jacques Fouletier (Grenoble Institute of Technology), Simon Clarke (Oxford University) and Mario Maglione (ICMCB-CNRS Université de Bourdeaux 1). 2003/2006: “Transport Properties and Electrochemical Applications of Ceria-based Nanomaterials”, POCTI/CTM/39381/2001, Foundation for Science and Technology, Portugal. He was team member in this project aiming to obtain nanostructured CeO2-based solid electrolytes and to study the effect of microstructure on the transport properties. 2002/2003: "Ceria-based Nanomaterials for Electrochemical Applications", Portuguese-Spanish Integrated Action E-49/02, sponsored by the Council of Rectors of the Portuguese Universities. Team member with coordinating responsibilities. 1998/2001: “Materials for Oxygen Separation Membranes”, PRAXIS XXI/P/CTM/14170/998, Foundation for Science and Technology, Portugal. In this project, the mixed-conducting properties of ATi1-xFexTiO3-? (A = Sr e Ca) materials were studied in detail. As a team member, he was particularly involved in the study of the relationships between microstructure, structure and electrical properties of perovskite materials and in the study of complex defect clusters studied by transmission electron microscopy, X-ray diffraction and Mössbauer spectroscopy. Na3Si2Zr2-xYxPO12 Materials”, Research Unit in Ceramic Materials, University of Aveiro and Alfa Programme, Commission of the European Communities. Project in collaboration with CITEFA, Buenos Aires, in which the relationships between microstructure and ionic conductivity, now in a Na+ cationic conductor, were again subject of study. As a team member, he was generally involved in all tasks and had an important role on the informal supervision of a PhD. student. 1995/1998: “Resistive Sensors based on Sr(Ti,Fe)O3-? films”, PRAXIS XXI/3/3.1/MMA/1760/95, Foundation for Science and Technology, Portugal. Participated as a team member with a major contribution associated to the assessment of the ionic conductivity of ceramic samples by oxygen permeation measurements. These results set up the base for another succeed project (the PRAXIS XXI/P/CTM/14170/998 mentioned above) with the objective of developing new mixed conductors for oxygen separation membranes. 1994/1997: ”Development of Cofired Ceramic Cells for Low Temperature (800°C) Solid Oxide Fuel Cell Operation”, BRITE EURAM contract BRE2/CT93/0578, Commission of the European Communities. Joint project with several European partners (Siemens AG, GEC Alsthom Ltd, Netherlands Energy Research Foundation, DSM Resins NV, Imperial College of Science Technology and Medicine) in which, as a junior team member, participated in the microstructural and electrical characterisation of Ce1-xGdxO2-? solid electrolytes (simple and double layer), La1-xSrxMnO3-? cathodes and cermet anodes of Ni-(ZrO2)0.92(Y2O3)0.08, either integrated in half cells or in full PENs. Materials for energy conversion technologies, including: solid electrolytes, electrode materials and processes, oxide, proton and ionic-electronic mixed conductors, surface reactions, issues of materials compatibility, fuel cells and electrochemical ionic transport membranes. Experimental techniques for the characterisation of ionic conductors: impedance spectroscopy, electrochemical permeability, electromotive force, Faradaic efficiency, d.c. electrical conductivity, conductivity with ion-blocking electrodes, coulometric titration and steady state electrode polarisation. Synthesis of oxides and ceramics processing. High energy mechanical milling. Mechanosynthesis.Study of micro and nano-structural domains in perovskite oxides and their impact on ionic transport. Control of electrical properties by grain boundary engineering.Processing of core-shell heterostructured ceramics. Synthesis and processing of nanosized ceramics via mechanochemical routes. Proton exchange membranes for intermediate temperature PEM fuel cells. Mesoporous oxides and organic-inorganin hybrids with proton conductivity. Electrical properties of graphene-based composites. 2017/2018: Laboratórios de Engenharia de Materiais II, regime presencial, Mestrado Integrado em Engenharia de Materiais, Universidade de Aveiro. 2016: Characterization of Materials by Impedance Spectroscopy (3x4 horas), Doutoramento em Ciência e Engenharia de Materiais, Universidade Federal do Rio Grande do Norte, Natal, Brasil. Resumo “This short course introduces impedance spectroscopy as a tool for the characterization of materials, with emphasis on the measurement of electrical conductivity, and as a non-destructive method to obtain information on microstructural features such as porosity, grain size, segregated secondary phases and grain boundary characteristics. The first section covers the principles of the technique, including the instrumentation and common experimental artifacts in order to define the conditions to obtain good impedance spectra. A few examples of application are presented, and polycrystalline ceramic ion conductors are used as case-study. A set of three hands-on activities using specific software is designed in order to familiarize the student with electric circuit elements and simulations, the analysis of dummy cell data and, finally, the application of the brick-layer model to polycrystalline ceramics.”. 2015/2018: Design de Estruturas Compósitas Multifuncionais, regime presencial, Mestrado em Design, Universidade de Aveiro. Regente. 2005/2011: Materials for Solar Cells and Fuel Cell Energy Systems (3x3 horas), módulo da unidade curricular High-Tec Materials, Mestrado Europeu em Ciência e Engenharia de Materiais, Universidade de Aveiro, Universidade Técnica de Hamburgo (Alemanha) e Universidade de Aalborg (Dinamarca). 2004/2011: Materials for Energy Applications (4 horas), módulo da unidade curricular Materials for Renewable Energies, Mestrado Europeu em Ciência e Engenharia de Materiais, Universidade de Aveiro em parceria com as Universidade Técnica de Hamburgo (Alemanha) e Universidade de Aalborg (Dinamarca). 2013/2014: Reações no Estado Sólido, regime presencial, licenciatura em Engenharia de Materiais, Universidade de Aveiro. Regente. 2013/2013: Estrutura e Equilíbrio de Fases, regime presencial, licenciatura em Engenharia de Materiais e licenciatura em Química, Universidade de Aveiro. Regente. 2011/2012: Tecnologia do Vidro, Mestrado em Engenharia de Materiais, regime presencial, Universidade de Aveiro. Regente. 2000 a 2007: Tecnologia dos Materiais Cerâmicos, regime a distância, licenciatura em Ensino de Educação Tecnológica da Universidade Aberta. Regente. 2000 a 2007: Tecnologia dos Materiais Vítreos e Tecnologia dos Materiais Cerâmicos, regime a distância, licenciatura em Ensino de Educação Tecnológica. Regente. 1999 a 2007: Tecnologia dos Materiais Plásticos, regime a distância, Licenciatura em Ensino de Educação Tecnológica da Universidade Aberta, Lisboa. Regente. 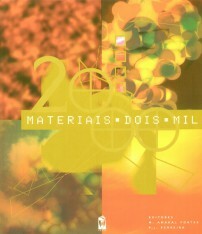 2000 a 2001: Tecnologia dos Materiais I, regime presencial, licenciatura em Design da Escola Superior de Design do Instituto de Artes Visuais, Design e Marketing (IADE), Lisboa. Regente, procedendo a uma profunda remodelação curricular. 1999 a 2009: Tecnologia dos Materiais Metálicos, regime a distância, licenciatura em Ensino de Educação Tecnológica da Universidade Aberta, Lisboa. Regente. 1997/1998: Mineralogia e Geologia, regime presencial, Engª Cerâmica da Escola Superior de Tecnologia e Gestão do Instituto Politécnico de Viana do Castelo. Regente. 2017: Characterization of Materials by Impedance Spectroscopy (3x3 horas), Dept.º de Física de la Materia Condensada de la Comisión Nacional de Energía Atómica [CNEA], Consejo Nacional de Investigaciones Científicas y Técnicas [CONICET], Buenos Aires, Argentina. 2016: Caracterização de materiais por espectroscopia de Impedância (2x4 horas), Mini-Curso, Universidade Federal do Cergipe, Departamento de Eng. de Materiais, Aracaju, Brasil. 2009: Short Course on Fundamentals of Solid Oxide Fuel Cell and Characterization, Fernando Marques, Filipe Figueiredo, Niğde University, Niğde, Turkey (8 horas). Produção de materiais de apoio. Maio 2017 - : Daniel Muñoz-Gil, “Development of materials for polymer electrolyte fuel cells”, grant funded by project UniRCell - Unitised regenerative fuel cell for efficient renewable energy supply: from materials to device”, SAICTPAC/0032/2015. July 2014 - : Paula Cristina Vieira Barbosa, "Nanophase-separated copolymer electrolytes towards protonic conductivity for fuel cells", work funded through grant FCT SFRH/BPD/96665/2013 supervision with co-supervison of Prof Ana Barros (CICECO). June 2013 - : Carla Andreia Cunha Vilela, “Development of novel bacterial cellulose-based materials for proton exchange fuel cells”, work funded through grant FCT SFRH/BPD/84168/2012, co-supervision with supervision of Dr.ª Carmen Freire (CICECO). Maiy 2013 - January 2015: Diogo Miguel Franco dos Santos, “Low-cost electrocatalysts for direct borohydride fuel cells”, work based at ICEMS of Instituto Superior Técnico in Lisbon and funded through grant SFRH/BPD/91853/2012. Co-supervision with supervision of Prof. César Cequeira (ICEMS / IST, Lisbon). Currently Auxiliary Researcher in IST. February 2013 - September 2014: Nataly Carolina Rosero Navarro, “Metal organic frameworks: design strategies for a new generation of proton conductors for fuel cells”, work funded through grant FCT SFRH/BPD/85628/2012, supervision with co-supervison of Dr. Fa Nian Shi (CICECO). Currently Post-Doctoral Associate in Hokkaido University, Japan. September 2013 - June 2014: Paula Cristina Vieira Barbosa, "Nano-materials for Li-ion batteries". Work funded by FCT through project PTDC/CTM-NAN/110776/2009 Hierarchical Nanostructures for Lithium-Ion Batteries. 2013 March - August: Sergei Michalev, "An automated system for electrical and electrochemical measurements". Work funded by FCT through projects PTDC/CTM-NAN/110776/2009 and PTDC/CTM-CER/109843/2009. 2012 May - 2013 February: Nataly Carolina Rosero Navarro, "Electrical and electrochemical characterization of acid-functionalised hybrid membranes for intermediate temperature PEMFC". Work funded by FCT through project PTDC/CTM-CER/109843/2009. 2011 January - 2011 December: Surendran Rajesh, “Nanocomposite Electrolytes for Intermediate Temperature Fuel Cells”, pós-doutoramento financiado no âmbito do projeto NanoCell – (PTDC/CTM/098486/2008), em coorientação com o Prof. Dr. Fernando Marques do CICECO / Dep. Engª. Materiais e Cerâmica da Universidade de Aveiro. 2005 and 2003: Eva Chinarro-Martin, University of Aveiro, co-supervision with supervision of Prof. Jorge Frade (CICECO). 2012 September- : Nuno André Carvalho Sousa, “Materials for Solid Alkaline Fuel Cells”, PhD in Materials Science and Engineering, University of Aveiro, supervisor with co-supervision of Prof. Armando Silvestre (CICECO/Dep Chemistry). Project funded by FCT with grant SFRH/BD/89670/2012. 2017: Maria Adelaide Cotovio Salvador, "Nano-ionics: proton conduction enhancement of electrolytes by heterogeneous doping", PhD in Materials Science and Engineering, University of Aveiro, University of Aveiro, supervisor with co-supervision of Dr Paula Ferreira (CICECO). Funding from FCT with grant SFRH/BD/60903/2009. 2014: Eddy Michael Pedro Domingues, “Acid-Functionalised Benzene-Silica Hybrid Membranes for Application in Proton Exchange Fuel Cells Operating at T>100°C”, PhD in Materials Science and Engineering, University of Aveiro, supervisor with co-supervision of Dr Paula Ferreira (CICECO). Project funded by FCT with grant SFRH/BD/48043/2008..
2007: Eduarda Manuela Carvalho Lopes Gomes Pereira de Lima, “Solid Electrolytes for Electrochemical Sensors”, PhD in Materials Science and Engineering, University of Aveiro, co-supervision with Prof. Fernando Marques. Project funded by PRODEP with grant 4/5.3/PRODEP/2000, nº 1012.004. 2013: Carlos Filipe Neves dos Santos, “Membranas compósitas para separação de CO2”, Mestrado em Sistemas Energéticos Sustentáveis, Universidade de Aveiro, coorientação com o Prof. Dr. Fernando Marques. 2013: Benedikt Reinhold Sykora, “Influence of oriented emitter molecules on the OLED efficiency”, Erasmus Mundus MSc Programme FAME - Functionalized Advanced Materials and their Engineering: Hybrids and Ceramics, co-supervision with supervision of Prof. Wolfgang Brütting, University of Augsburg, Germany. 2013: Tiago Daniel Oliveira Gadim, “Proton exchange membranes for fuel cells”, Master in Materials Engineering, University of Aveiro. 2012: Cátia Soares, “Ceria/alkalyne carbonate composites for CO2 separation membranes”, Master in Materials Engineering, University of Aveiro, co-supervision with supervision of Prof. Fernando Marques (CICECO). 2012: Francisco José Almeida Loureiro, “Composite electrolytes for fuel cells: composition and transport mechanisms”, Master in Materials Engineering, University of Aveiro, co-supervision with Prof. Fernando Marques (CICECO). 2011: Inês Roldão, “Role of different ionic charge carriers in composite electrolytes”, Master in Materials Engineering, University of Aveiro, co-supervision with Prof. Fernando Marques (CICECO). 2011: João Pereira, “Materiais de Eléctrodo para Membranas de Separação de CO2”, Master in Materials Engineering, University of Aveiro, co-supervision with Prof. Fernando Marques (CICECO). 2010: Sandra Silva, “Mecanossíntese de apatites e sinterização assistida por compactação com parafina”, Master in Materials Engineering, University of Aveiro, co-supervision with Prof. Jorge Frade (CICECO). 2010: Bruno Araújo de Almeida, “Preparação de cerâmicos de YSZ tricamada porosa/densa/porosa com porosidade ajustável”, Master in Materials Engineering, University of Aveiro, co-supervision with Prof. Jorge Frade (CICECO). 2009: Ana Sofia Valente Ferreira, “Síntese e caracterização de electrólitos compósitos baseados em céria”, MSc Sustainable Energy Systems, University of Aveiro, co-supervision with Prof. Fernando Marques (CICECO). 2009: Adelina Lourenço, “Aplicability of two-step sintering schedules to obtin submicrometric zirconia ceramics“, Master in Ceramics and Glass Engineering, University of Aveiro, co-supervision with Prof. Jorge Frade (CICECO). 2008: Eddy Michael Pedro Domingues, “Mechanosynthesis and ceramic processing of La1-xSrxGa1-y-zMgyAlzO3-delta”, Master in Materials Engineering, University of Aveiro. 2007: Christopher N. Chinedu, “Nanocystalline Magnesium Hydrides and Reactive Hydride Composites for Hydrogen Storage”, Joint European Master in Materials Science and Engineering (Erasmus Mundus), University of Aveiro,Technical University of Hamburg, University of Aalborg, co-supervision with Prof. Rüdiger Borman (Hamburg). 2017, Vilmaria Aparecida Ribeiro, “Development of materials for polymer electrolyte fuel cells”, grant funded by project UniRCell - Unitised regenerative fuel cell for efficient renewable energy supply: from materials to device”, SAICTPAC/0032/2015. 2015, Benito Román-Manso, "Electrical characterization of bulk and cellular graphene/SiC nanocomposites", visiting PhD student from the Institute of Ceramics and Glass / CSIC, Madrid, in co-supervision with Dr. Pilar Miranzo and manuel Belmonte from ICV/CSIC, and the financial support from the Journal of the European Ceramic Society Trust. 2013-2014: Francisco José Almeida Loureiro, "Electrical and electrochemical characterization of acid-functionalised hybrid membranes for intermediate temperature PEMFC". Grant within project PTDC/CTM-CER/109843/2009. 2013-2014: Tiago Daniel Oliveira Gadim, "Pron exchange membranes based in bacterial cellulose for fuel cells", Co-supervison with Prof Armando Silvester. Grant within project CelFuelCel PTDC/CTM-CER/109843/2009. 2011: Cristina Ramirez, "Electrical characterization of Graphene nanoplatelet/silicon nitride composites", visiting PhD student from the Institute of Ceramics and Glass / CSIC, Madrid, in co-supervision with Dr. Isabel Osendi from ICV/CSIC. 2010 - 2011: Teresa Isabel Galinho de Carvalho, “Zirconia solid electrolytes”, research fellow, University of Aveiro, in co-supervision with Prof. Jorge Frade. 2009: Maria Adelaide Cotovio Salvador, “Acid-Functionalised Hybrid Membranes for Proton Exchange Fuel Cells“, research fellow, University of Aveiro, in co-supervision with Drª. Paula Ferreira. 2008: Xu Le, “Novel Materials for Silicate Based Fuel Cells (MatSILC)”, STREP033410, research fellow, University of Aveiro, in co-supervision with Prof. Jorge Frade. 2007: Eddy Michael Pedro Domingues, research fellow, "Core-shell ceramic membranes with nano-sized grains for oxygen separation and syn-gas production”, POCTI/CTM/39381/2004 (University of Aveiro). 2006 - 2007: Priscila Tatiana Gonçalves, initiation to scientific research fellowship within the project “Core-shell ceramic membranes with nano-sized grains for oxygen separation and syn-gas production”, POCTI/CTM/39381/2004 (University of Aveiro). 2005: Diogo Miguel Rodrigues Marinho Mata, initiation to scientific research fellowship within the project “Core-shell ceramic membranes with nano-sized grains for oxygen separation and syn-gas production”, POCTI/CTM/39381/2004 (University of Aveiro). 2010, 1012, 2017: Supervision of the third year internship in research environment of 3 students of Materials Engineering from the Polytech’Grenoble engineering school, Joseph Fourier University, Grenoble, France. 2009-2011: Supervision of 3 students from the Materials Engineering degree of the University of Aveiro, of the third year project. Hydrogen: the future energy vector for sustainable development? 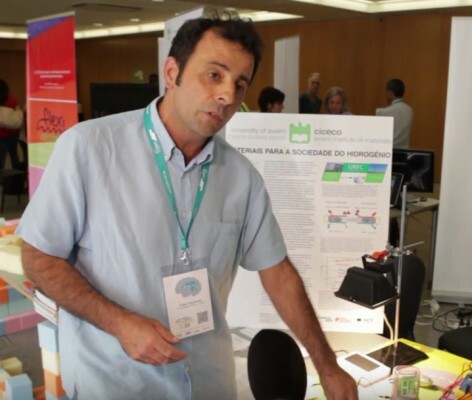 Project coordinated by Filipe Figueiredo intends to develop fuel cell/electrolyzer that solves the problem of intermittent renewable energy production. A brief explanation about the Hydrogen potential in energy storage. 2018, PHYSICAL CHEMISTRY CHEMICAL PHYSICS, 20, 28, 19045-19056. 2017, ELECTROCHIMICA ACTA, 233, 52-61. 2017, CERAMICS INTERNATIONAL, 43, 12, 8905-8911. 2017, JOURNAL OF MATERIALS CHEMISTRY C, 5, 46, 12134-12142. 2016, CHEMELECTROCHEM, 3, 5, 783-789. 2016, CRYSTAL RESEARCH AND TECHNOLOGY, 51, 6, 400-404. 2016, MICROPOROUS AND MESOPOROUS MATERIALS, 226, 386-395. M.A. Salvador, J. Canales-Vázquez, P. Ferreira, F.M. Figueiredo.